RGYC Foundation ran a ‘Win a Super Foiler Hot Ride’ raffle in the lead up to the Festival of Sails. 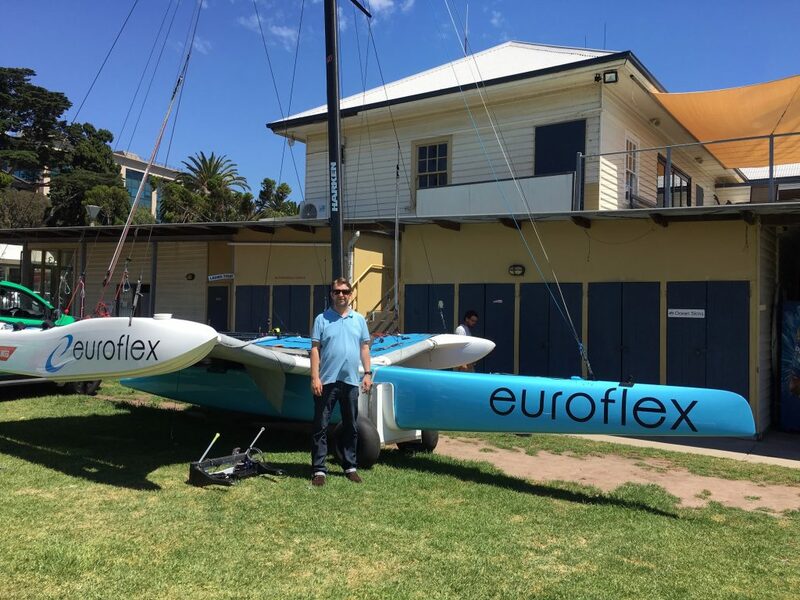 The SuperFoiler raffle winner, Paul, purchased his raffle ticket at the last minute & is really excited to try out sailing for the 2nd time ever on a SuperFoiler Hot Seat Ride. He’s watched all of the SuperFoiler YouTube footage since his win & while he’s a little concerned about all of the crashes, after seeing them today he said even though he doesn’t know much about sailing, you wouldn’t say no to a hot seat ride in an F1, & this is sailing’s equivalent, these things look like a weapon. “I can’t wait to bring my family down to watch me have a ride & meet some of the best in the sport”. Paul is already planning to bring his family down for more sailing in the future. Thank you to the SuperFoilers & the entire RGYC Foundation, Board, Office & Volunteer team, and everyone who purchased a ticket for making this possible for us to raise nearly $3,000 in just over 2.5 weeks.